Today we hope you'll allow us a departure from our regular cat coverage to share memories of a day many of us will always remember. In all our lives there are world events that you never forget where you were and what you were doing when you heard the news. The first big news stories of my lifetime were when President Reagan was shot and the Challenger disaster, but I was really young and just remember being at home with my parents, not really grasping the gravity of what was happening. For me, the top 3 events that are as vivid in mind as the day(s) they happened are the OJ Simpson trial (I was obsessed), 9/11, and the day Princess Diana was killed in a Paris car crash - 20 years ago today. It was a Saturday night and here on the east coast the news broke around 8PM on August 30th. I sat glued to the television with my family in shock, and then - oops, this isn't a completely cat-free post - when the news came around midnight that she had tragically passed away, I was outside in the driveway trying to break up a cat fight with my mom! After all those hours of watching and waiting the irony isn't lost on me that a cat played a role in my memories of that night. It was now the wee hours of August 31st, a day I had circled on my calendar for months because I was scheduled to travel to Schaghticoke, New York's local fair to see Tom Wopat (The Dukes of Hazzard) in concert. As a huge fan of the show and his music, my parents agreed to the 3 hour trip as an early birthday gift. The day was amazing - I got to meet him! - but it was still a bittersweet day and one I'll always remember as a very happy one for me personally, but a tragic day for the world. Do you remember where you were and what you were doing when you heard the news that Princess Diana died? Diana wasn't the saddsst event in TBTs life. But it was a surprise and a sad one. My human remembers where she was... but it was a rather bleak period in her life, and not something shared on a family blog! Since she has lived in L.A. all her life, she was actually able to watch the OJ car chase on the LOCAL TV channel! She had just started seeing her boyfriend and watched it at his apartment for hours. I remember it so well... I didn't have a TV in those days, so I had no idea anything had happened until I walked into church Sunday morning and people were upset and some were crying over the news. It was so shocking to hear that she was just gone. The OJ car chase was something else I didn't know about until days later (life is REALLY different w/o TV!). I was in grade school when it happened, but I indeed remember hearing the news. I remember even at that age being in shock, as Diana had such a presence. I am glad that you have a fun and happy memory to go with this day as well, though. I used to watch Dukes of Hazzard all the time as a kid! Purrs! I do remember hearing the news very early in the morning that she had died. It was surreal then as now. No, I don't. Interesting what the mind retains. I remember the day Nixon resigned, the day Reagan was shot, the day the Murrah Building was bombed. I remember hearing about the Challenger, although I had a bad case of mono and a *really* bad case of adolescent self-centeredness, such that I remember not caring about it. I remember the season, but not the days, when Princess Diana and Mother Teresa died. I was at a music festival in Seattle when I heard about it. Everyone was talking about it. Very sad! I was a small kid, so I wasn't really even aware who she was. I just remember my parents watching the news trying to explain it all to me. I remember trying NOT to watch the news coverage, but being drawn to it over and over, and in the weeks that followed as the UK and the world mourned. I remember, too. I feel so bad for her sons having to suffer, again, with the new documentary. Yep, I remember that day clearly...it was a Saturday night. And I was glued to the TV when I heard this news. It was a total shock. That was a sad day. 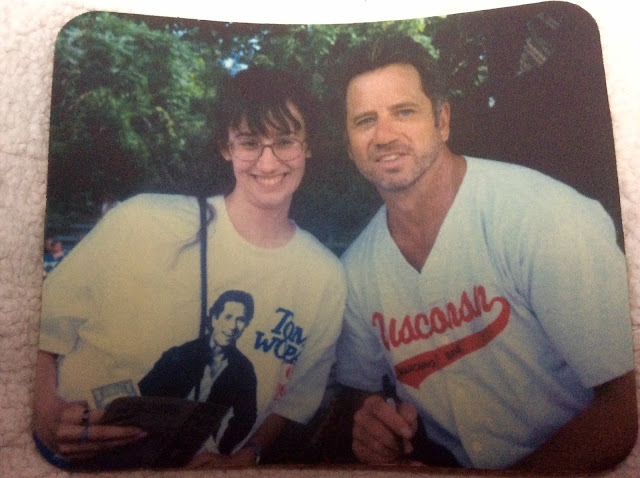 It is cool you got to meet Tom Wopat though. I was in England, I woke up to find that she had gone. I have never seen anything like it. The country was literally paralysed for days and days because there was no indication from Buckingham Palace about her death. It took them DAYS to make a statement and people were on the brink of losing faith in the British Monarchy. She was greatly loved and people were on her side not his during the last traumatic months. She is missed, she would be a beauty even now. Mommy was in Church, Mommy said she must be older than you because she remembers what she was doing the day of the Challenger disaster, looking for a dress for a friends wedding and on 9/11 she was homeschooling the boys. One of their friends who was always telling tall tells called to tell them about it and at first Mommy thought he was making it up, until he finally convinced her to turn on the TV. But Diana's death really impacted Mommy because Princess Diana was only 5 years older than her and they both had young boys. Mommy also remembers Princess Diana's wedding to the cheating Toad. Toady certainly didn't behave like a Prince and she sincerely hopes he and Trollop Camilla are miserable together. As you know, we've posted about that dreadful day too. Mum attended the funeral (well, she was outside with the crowd), and it was just so surreal. She'll never forget it or where she was when she heard. 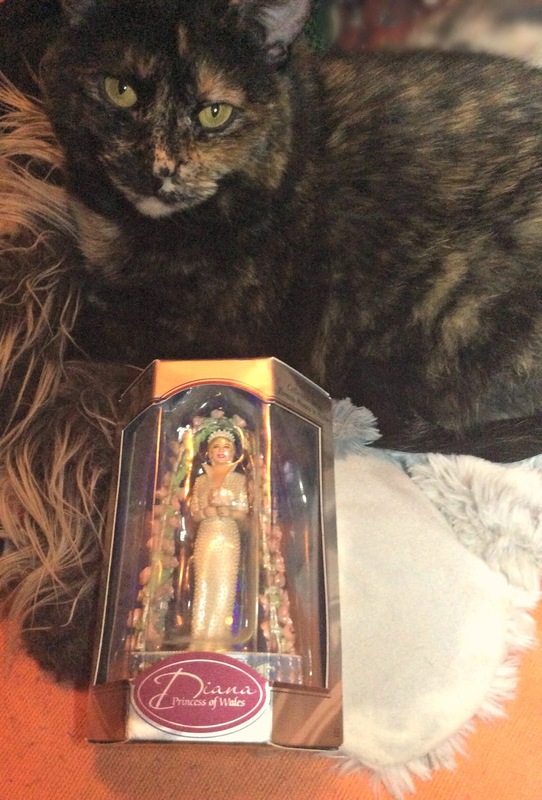 Her angel cat Suzy was with her at the time. Nice to read everyone's comments and we especially like Alasandra's above. Silly Toad using Diana like that. He didn't deserve her. You were so cute! TW lost a friend over that Diana death thing. She told her in an email something like she was more upset over the recent death May 1997) of one of her favorite recording artists, Jeff Buckley, and the deaths long ago of John Lennon and Yankees' catcher Thurman Munson. She can remember those like yesterday.